When it comes to growing older, people who have healthy support systems fare better. They are generally happier, healthier and live longer. 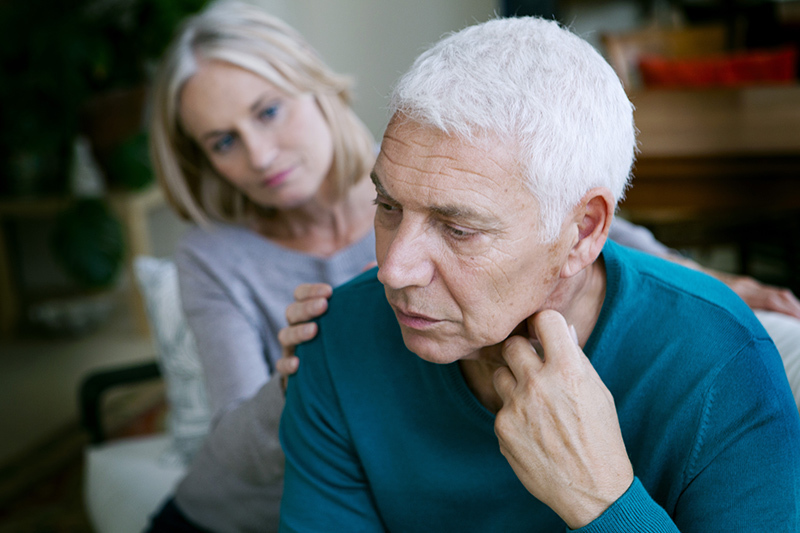 For seniors dealing with substance abuse issues, the right social support can be critical. When these systems are in place, treatment and recovery outcomes significantly improve. What do I mean by support system? In general, individuals with support systems perceive themselves to be part of a group of sources, invested in their wellbeing, that are available to provide what they need. This includes encouragement, understanding, clarity, companionship, medical care, spiritual centeredness, education and financial assistance. By helping to create these support systems and ensure they are in place, family members can extend a vital lifeline to their loved one with a drug or alcohol problem. This task, however, can also seem daunting. “Social support is a powerful predictor of living a long and healthy life” is the shared conclusion of multiple large studies that have turned up a strong link between social support and better health among seniors. This concept of “social support” and its link to better mental and physical health has been around since at least the 1970s, when epidemiologists first began to use it to explain why people embedded in social networks are healthier mentally and physically. A 1992 Iowa Health Services VA Medical Center study of recovering alcoholics found that those with higher levels of self-reported social support experienced lower rates of relapse. A Virginia Commonwealth University study in 2003 found that perceptions of low social support in women recovering from cocaine addiction predicted higher rates of relapse and of depression (a common relapse trigger). These results, among others, reveal that family, friends and a larger recovery community can play a critical role in seniors’ recovery. This is particularly the case when they are older, and thus more vulnerable to social isolation. It’s important to note, however, that there must be an exchange between the individual and the person or agency providing support. According to a study at Erasmus University Rotterdam, receiving care without a sense of exchange has been linked to poorer outcomes. One important asset of belonging to a group, revealed in the Erasmus University study, is the body of social norms that are expected within the group. For example, an online discussion group about recovery may insist that posts be of a positive, uplifting nature. These norms, a form of direct or indirect social control, operate as a sort of moral enforcement and are helpful to recovery. Therefore, it’s important that any potential resource for a support network include healthy social norms. Recovery groups are free to attend and usually quite easy to get to in most parts of the United States and around the world. Many retirement communities have active 12-step groups, as do nursing homes, hospitals, churches and community centers. There are also online 12-step meetings that you can help them join. For an aging loved one struggling with alcohol abuse, this directory of AA meetings can help you find a face-to-face or online meeting that is nearby. Alternatively, for those with a drug use disorder, this directory of NA meetings is a good place to start. Make sure your loved one is connected with a healthy group that is actively working the program, is easy to reach at least once a week, and has safe, reliable transportation to and from the meeting. If your loved one has a professional caregiver, the caregiver should be made aware that getting to a 12-step meeting at least once a week is a priority—right up there with regular personal hygiene and taking medications. When evaluating potential living situations, consider that a 1992 review of studies titled “Alcohol Use in Retirement Communities” by W.L. Adams found high rates of drinking and at-risk drinking within retirement communities. Ideally, your loved one should be in a living environment that maximizes his or her independence and opportunities for positive, alcohol-free social interactions. In cases where caregivers are providing live-in assistance, they need to be aware of the status of your loved one’s substance abuse problem. They will also need to take certain precautions to ensure your loved one does not have easy access to alcohol and other substances. Medications will need to be safely and securely stored, and alcohol should not be on the premises. If an older person expresses interest in certain social settings that revolve heavily around alcohol, other positive alternatives for social companionship and interaction should be encouraged and facilitated. Your loved one will respond more positively to non-confrontational expressions of concern about a drug or alcohol problem. When your loved one perceives that you are there to love them and collaborate with them, as opposed to baby and belittle them, they will be more motivated to get better. Never be bashful about asking for help in creating a stronger emotional support system for your loved one. Sometimes this may mean consulting a licensed marriage and family therapist, certified life coach or social worker for help. Do your best to ensure your loved one is getting his or her emotional needs met through different kinds of relationships including a few close friendships with others in the same stage of life. Wherever possible, consult your loved one for their feedback regarding what they need to stick with recovery. Encourage your loved one to share their life wisdom with you, and facilitate opportunities (however small) that let them give support to others rather than only receive it. “Aging and social support,” Pearl A. Dykstra, Erasmus University Rotterdam. “Social cohesion and belonging predict the well-being of community-dwelling older people,” National Center for Biotechnology Information. “Outcome Research on 12-Step and Other Self-Help Programs,” Textbook of Substance Abuse Treatment. “Principles of Drug Addiction Treatment: A Research-Based Guide” National Institute on Drug Abuse (NIDA).